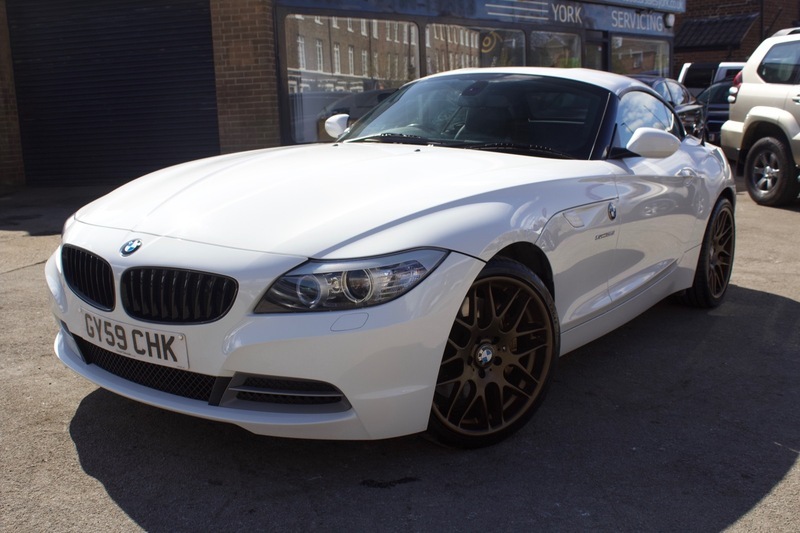 Here we have our BMW sDrive 35i in Rare White finished with Bronze Aftermarket M Sport Alloys. The Heated Black Leather is in great condition and the car has Full Service History. To say this car has been looked after is an understatement. Housing one of the best engines BMW has made, this truly is a real fun roadster. The Z4 comes with Air Conditioning, Bronze M Sport Alloy Wheels, CD Player, Climate Control, Electric Windows, PAS, Cup Holders, Daytime Running Lights, Auto Xenon Headlights, Auto Rain Sensors, Electric Heated Seats, Front Fog Lights, Side Impact and Steering Wheel Controls. The car also comes with MOT, 12 months Service, Warranty, Free AA Cover for a year and Pre Delivery Inspection Report.